The Phoenix Zoo and Changing Hands Bookstore present #1 New York Times bestseller Chelsea Clinton, discussing and signing Don't Let Them Disappear: 12 Endangered Species Across the Globe, a beautiful picture book about the animals who share our planet—and what we can do to help them survive. A portion of proceeds from the event will support the Zoo's native species conservation programs, which are actively boosting wild populations of threatened and endangered animals in Arizona. Order your ticket package at the bottom of the page or directly through Eventbrite. We'll send you an email confirmation. TICKET PACKAGES → Ticket Package 1: $25 + fees: Admission for one (1) person and one (1) signed hardcover copy of Don't Let Them Disappear. → Ticket Package 2: $35 + fees: Admission for two (2) people and one (1) signed hardcover copy of Don't Let Them Disappear. 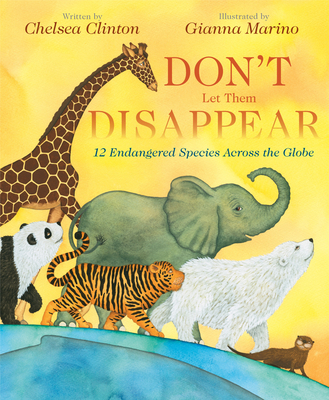 → NON-ATTENDING Package: $23.54 + fees: One (1) signed hardcover copy of Don't Let Them Disappear (includes shipping – media mail only). WILL-CALL opens at 4:30pm outside the pavilion. Please check in here to be admitted into the event. PICK UP YOUR BOOK at the Phoenix Zoo on event day, outside the pavilion beginning at 4:30pm. SEATING is general admission and opens at 4:30pm. CHELSEA CLINTON is the author of the #1 New York Times bestselling picture book She Persisted: 13 American Women Who Changed the World, which was praised in a starred review by Publishers Weekly as a "lovely, moving work of children's literature [and a] polished introduction to a diverse and accomplished group of women." She is also the author of the New York Times bestsellers Start Now! You Can Make a Difference, She Persisted Around the World, It's Your World, and, with Devi Sridhar, Governing Global Health: Who Runs the World and Why? Chelsea Clinton is the Vice Chair of the Clinton Foundation, where she works on many initiatives including those that help to empower the next generation of leaders. She lives in New York City with her husband, Marc, their daughter, Charlotte, their son, Aidan, and their dog, Soren. 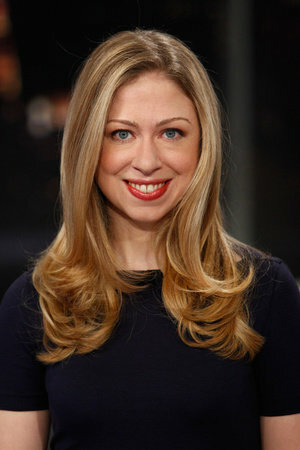 You can follow her on Twitter at @ChelseaClinton or on Facebook at www.facebook.com/chelseaclinton.